The distribution landscape for hotels is changing and becoming more complex with each passing day. In January of 2015, Expedia purchased Travelocity and agreed to purchase Orbitz Worldwide the previous month. Not to be outdone by Expedia, another OTA giant The Priceline Group countered with its acquisition of Rocketmiles in February. Since the launch of Expedia almost 20 years ago in 1996, Priceline in 1997, Hotwire in 2000 and the introduction of several other online travel agencies (OTAs), the landscape for hotel distribution has drastically changed. In any case, OTAs are responsible for a healthy chunk of room reservations, but come with its own set of disadvantages. Continue reading to learn more about direct hotel bookings vs. OTAs. One point is undisputed; OTAs provide hotels an astoundingly strong marketing channel for both smaller properties and independant brands. The consumer reach of an OTA is much wider because of their gargantuan marketing budgets. Websites like Priceline and Expedia have developed staggering brand recognition and almost always appear at the top of Google's search engine results page. With the huge popularity and brand recognition of OTAs, properties listed on such booking website will get found by consumers, even on a global scale. OTAs provide hotels an astoundingly strong marketing channel for both smaller properties and independent brands. 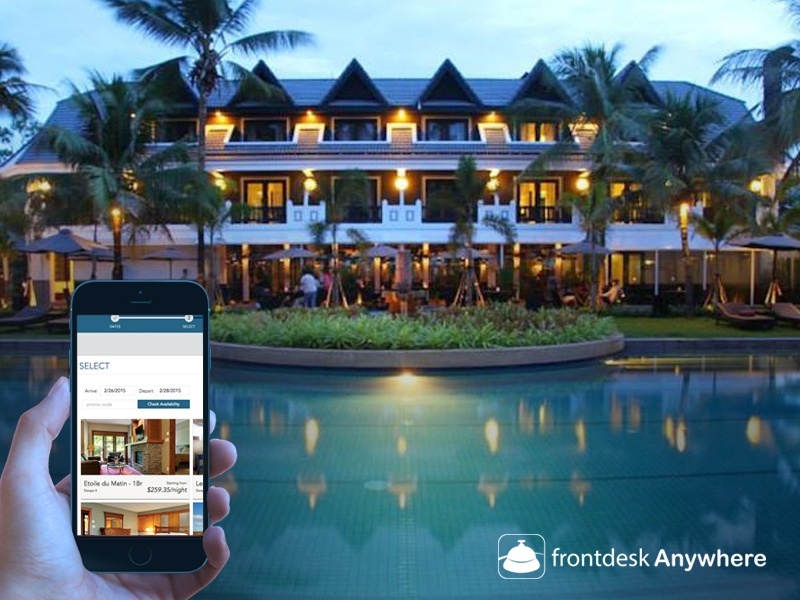 While OTAs undoubtedly gain high exposure, these services do take a significant bite out of the revenue for hotels. For smaller independent hotels, OTAs can take anywhere from 15 to 30% of the revenue for each booking. When the guest is new, it makes perfect sense paying a hefty 25% bounty for a new guests. However, when hotels continue to pay this same rate on the guest's second, third, fourth, or even fifth visit; the hotel can start to feel the pain. On the other hand, OTAs are ideal for quickly filling rooms at the last minute that would otherwise remain unsold. Offer prospective guests free upgrades and add-ons for booking direct. Offer value-added packages for guests that book directly, such as free parking, spa services, or tickets to local attractions. Offer exclusive discounts to specific audiences through discount codes by email, Facebook, Twitter or other social media outlets. When guests check in, offer them a special discount to book direct on their next visit. A sign could even be placed at the front desk promoting this offer. Make sure booking online is simple and easy. Offer customers the "Best Guaranteed Rate" and make sure the website is mobile friendly. One little-known benefit of OTAs is that they can actually drive traffic to the hotel website. According to a study conducted by Google, 52% of travelers visit the hotel's website after seeing the room listed on an OTA. In the end, using an OTA for the first time or to quickly fill vacant rooms may be worth the cost of commission. However, the goal is to get the guest to book direct the next time, which is ideal for achieving an effective and happy balance.